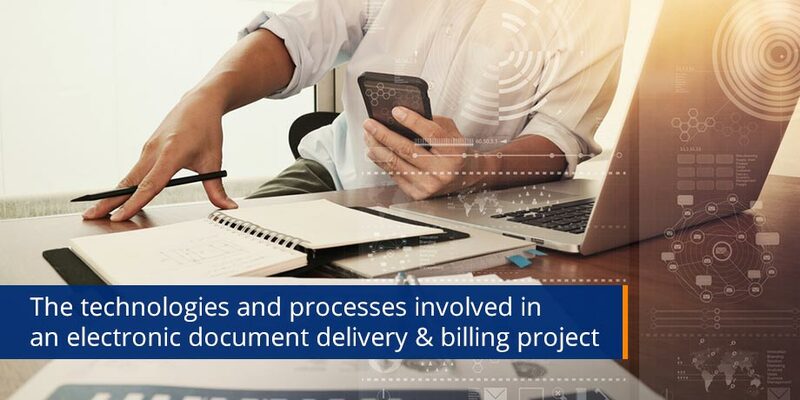 As part of the process of introducing any biller or financial institution to Electronic Bill Presentment & Payment and ‘push’ eDocument delivery, it is essential to detail the various activities that make up a project of this nature. I have listed these below, given a brief explanation on each and provided links to other Striata articles which will go into the specific point in greater detail. Please do not hesitate to contact us if you would like any additional information. Output file processing: Over the years we have received literally hundreds of file types, ranging from ready made PDF’s (which we manipulate) to raw mainframe data. A key element, and in many cases the primary function of our technology, is the processing and converting of a biller’s standard output or print stream into cycle batches of email documents. This is extremely specialist work and in almost all cases is done without using standard file conversion tools which require a specific input type/s. A major advantage to any biller is not having to change the output file type in any way. This dramatically speeds up the time to complete an implementation. Consolidation: It is very convenient for a recipient to receive all of their documents from a particular sender in a single email , but most important is the ability to navigate easily amongst the various documents / messages. This is very relevant in the financial services sector where a consumer gets many documents from various banking divisions within a very short time period. The technology to capture multiple data streams across differing business units & time periods, apply business rules, and then generate personalized email ‘packages’ is a very desirable business application. Document creation & functionality: Initially the goal is to replicate the paper documents & attachments / inserts. There is however exceptional creative work required within the body of the email, electronic marketing / estuffers and the payment form (if applicable) to drive adoption, paper turn off and electronic payment. With consolidated invoicing, easy navigation is a priority. When reaching the second project phase, documents can be enhanced to further improve readability & navigation, and can also include data files for easy upload into the recipient’s accounting system, pre-populated application forms, graphing and data sorting. Replicating the paper is just the minimum requirement, it is these feature rich document enhancements that maximize customer satisfaction. Personalized content: One of the significant value drivers of ‘push’ document delivery, is the ability to personalize content & marketing. A library of offers / adverts can be stored and automatically applied to various marketing locations based on predetermined business rules. This is achieved at a fraction of the cost to do it on paper and delivers dramatically higher response rates. The nature of an email document also opens up new and very valuable marketing ‘real-estate’. Massive volume sending: In order to send and deliver your full billing cycle, it is essential that a completely separate sending engine is used that does not impact on your companies bandwidth or internal email systems in any way. ‘Push’ email document delivery requires very high volume, multiple thread throughput capabilities and must not be confused with your companies internal email systems. Resending: Email gets deleted by accident at the user level and copies are often required. Being able to easily & quickly locate and resend (or forward to another address) is an essential project requirement. Striata offers an ‘easy to use’ CSR access tool to provide this functionality. Reporting: Reporting is available through a secure self service web interface as well as ‘pushed’ to the required sender personnel. These reports include: Adoption, Paper truncation, Data files received, batches created, messages sent, messages delivered, messages undelivered & why, messages opened, when & how often, attachments opened, when & how often, forms submitted, payments submitted, successful payments and of course all click tracking on marketing pieces. The above make up a large part of the technologies & capabilities required to successfully implement and run a ‘push’project.